Yet perhaps even more troublesome than these errors is the phenomenon known as “mental accounting.” Mental accounting refers to the tendency of humans to develop and make decisions based on purely mental categories. Although they seem rational, the categories we create are often wholly arbitrary — and in some cases, dangerously misleading. If we are not careful, mental accounting can sabotage our investment strategies or even our entire financial lives. 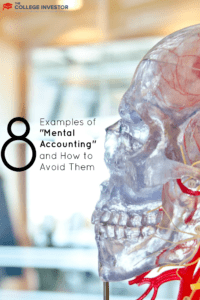 Here are eight pernicious examples of mental accounting — and how to see the fallacy behind each one. In an in-depth article, the Washington Post found that where money comes from influences how we decide to spend it. A major example of this (as will be seen throughout) pertains to money we did not expect to get. Generally speaking, human beings are more likely to be impulsive or reckless with unexpected money because, they reason, it was never factored in to their serious financial plans to begin with. Tax refunds are a case in point. Most of us know a tax refund is coming, but rarely know the exact amount. Therefore, we tend to forget about it until it arrives and then regard it as a sort of windfall whose eventual disposal means nothing to the broader financial picture of our lives. This is erroneous however, because as a fungible commodity, money is money. Where it came from should have no bearing on what it objectively makes sense to be spent on. The same basic logic applies to birthday money. As kids (and perhaps still today), we all remember getting cards stuffed with cash from our relatives on each birthday. Other than a few young geniuses with the foresight to save some of it, most of us eagerly rushed out and bought the most outlandish and impractical things we could. The reasoning? We weren’t expecting the money. Sure, people can criticize your spending choices when it comes to recurring job income, but who could possibly second-guess what you did with a random, one-time birthday payoff? Yet the same intractable reality applies: birthday money is in no way different than or inferior to job income, business profits, investment returns, or any other source. If you decided previously that the car payment was your most important bill, for instance, there is no logical justification for not using “birthday money” to pay it. Bonuses are essentially an adult’s version of “birthday money.” The very name — “bonus” — suggests a sum of money meant to be seen in a different light than mere ordinary income. Unsurprisingly, many employees are seen spending their bonus money on things they would never be able to justify (to their spouses or to themselves) spending “regular” income on — boats, new cars, or lavish vacations, for instance. Of course, nothing says that these types of purchases are bad or irrational. Far from it! The issue at hand is that all spending — extravagant spending included — should be consciously compared with what the money could alternatively be spent on. If your current financial plan already includes extravagances, feel free to spend bonus money on it! If not, the fact that you have received “a bonus” does not change the other, less exciting things you know are factually more deserving of that money. Investors are, as a group, highly prone to the “money you can afford to lose” variant of mental accounting. Under this notion, investors view some arbitrary amount of their investment capital as “play money” which they feel comfortable squandering on speculative and uncertain things. At first glance, this has the makings of sensible decision-making. It seems prudent to clearly delineate between money that matters and money that doesn’t. The problem, of course, is that “money you can afford to lose” is a purely mental creation. An economist would say that true financial rationality dictates never putting money somewhere that it was likely to be lost, and that no amount of mental maneuvering would make this an acceptable fate for any amount of money in your possession. Earlier, we discussed how some people treat differently the money they have designated as “money I can afford to lose.” This is also known as “play money” or “risk money.” The other side of that coin is, as Investopedia calls it, “safety capital.” True to the mental accounting fallacy, this is the money people regard as “money they need.” Consequently, these funds are handled with the prudence and care befitting of money one expects to pay a mortgage, fund retirement accounts, or other serious financial purposes. In reality, as you now know, this is the way that all of a person’s money should be treated. There is no dividing line between money that matters (safety capital) and money you can afford to lose (risk capital). Any dividing line you honor is nothing more than a misleading mental illusion. Indeed, countless lottery winners have managed to go bankrupt after spending their millions on dubious purchases that “seemed” to be justified by the unexpected prize they had won. Had these fallen winners spent even slightly more in line with how they spent their job income prior to winning, they would likely still be rich today. A man buys an expensive membership in a tennis club. Right after he puts down the money, which is nonrefundable, he hurts his ankle. He grits his teeth and continues to play through the pain — even though not playing would mean much less agony. Mental accounting is behind the problem. Playing is the only way to ensure that the tennis club membership remains in the man’s mental category of money well spent. To not play would be to write off the membership cost as a loss, which is more painful to the man than the agony of hobbling through games on an injured ankle. Had the man in this fictional example not bound himself to honoring a self-created, illusory, mental category, he would have spared himself considerable pain! Imagine you just arrived at a theater and as you reach into your pocket to pull out the $10 ticket you purchased in advance, you discover that it’s missing. Would you fork over another $10 to see the movie? They discovered that only 46% of the study participants in scenario one said they would spend another $10 to buy another movie ticket. However, a whopping 88% of the subjects in scenario two said they would still spend $10 to buy a theater ticket. 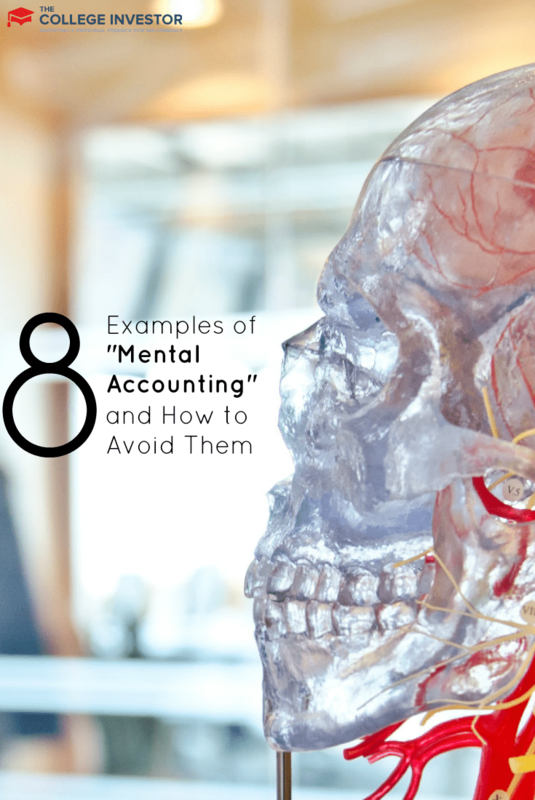 So, how can you avoid these mental accounting traps? It’s not easy, but there are some strategies you can employ to help yourself avoid the pitfalls. First, you need to get organized financially. This means using a tool like Personal Capital (which is free and we love) to keep track of all your income and expenses. Knowing what comes in and what goes out can help you avoid several of these traps. Second, stop keeping everything in your mind and write it down. This can be by creating a budget or using a tool like The Personal Finance Planner, or even just doing something as simple as writing down your goals for the year. The goal here is to translate your mental accounting notes into something physical and tangible. Finally, get an accountability buddy to help you. One of the biggest “problems” we have when it comes to money is we treat it like taboo – don’t talk about it, don’t ask others about it, never share anything. That’s a bad mentality because it can compound these mental accounting traps. If you need help overcoming a roadblock, share your goal or your budget with a friend. Let them know what you want to do, and allow them to remind you of it in the future. Have you ever fallen into these mental accounting traps?